Virtual reality (VR) has been making many strides in both game development and content marketing recently. The sports and entertainment industries in particular are currently utilizing marketing with virtual reality using branded content to sell frontline experiences at matches and concerts. Offering the customer a sample of what they can experience has been effective for selling VIP packages and the ability to see a game from home and literally get into it. However, the real estate industry is also stepping up VR and marketing by making use of VR experiences to revolutionize how people look for housing. Apartment-hunting can be a thorn in peoples’ sides for many reasons, especially in cities with tight housing markets like New York and San Francisco where the options are endless but someone can snag the apartment before you even show up for the tour. A rent.com survey says 56% of apartment hunts take longer than three weeks, which can be a serious problem if a prospective tenant has an emergency such as a job change or household expansion necessitating new housing immediately. The same survey also said that 29% of apartment-hunters looked at more than 20 apartments online before moving into one. Apps like Realtour360° are using 360 cameras and virtual reality in order to give prospective tenants and buyers a thorough and interactive apartment-hunting experience. Photos can only show so much whether they are professionally-staged by a real estate agent or quickly taken with a phone to find someone to sublet your apartment as fast as possible. Realtour360° offers solutions for individuals, brokers, and real estate agencies so that taking 360 shots of your property is done in a snap and people viewing it can see more than what a photo would show them. This is especially helpful for large and small properties alike, in that photos can be deceiving and the exploration aspect using both the 360 images and VR can make what’s often a very stressful process into something fun and engaging. The app lets you add hotspots on the screen so that if you’d like to include static images of features such as appliances, crown molding, upgrades, and more so the house-hunter feels welcome and like they’re on an adventure. “There’s so many applications for exploration and story-based games and campaigns with Realtour360°,” founder Jim Prucey states. 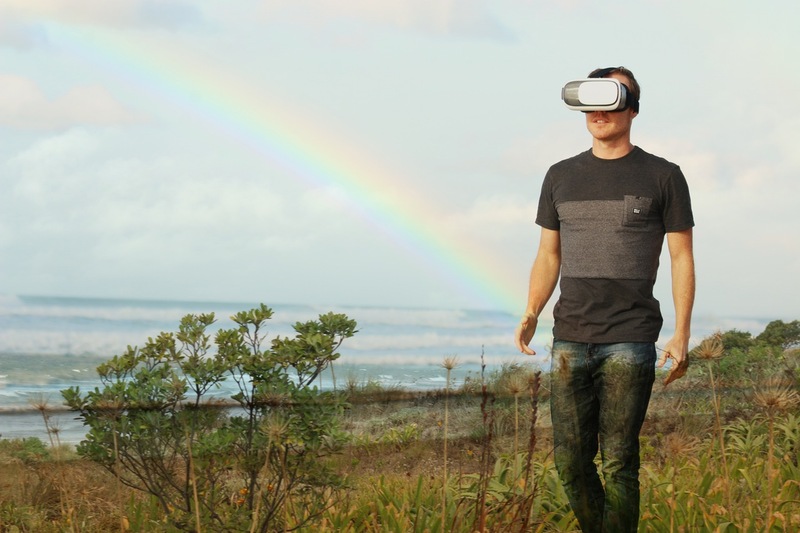 Marketing with virtual reality and further innovations in the field will make house and apartment hunting much easier for both listing agents and buyers/tenants. By eliminating the need to arrange several visits, people searching for a home can save a great deal of time looking at multiple properties before committing to seeing some of them in person. This also saves the listing agent time, and listings will also spend less time sitting on the market as a result of getting exposed to more serious buyers or tenants. Rachel P is a 5-star marketing writer with WriterAccess specializing in business (specifically all things tax related),video games, virtual reality, and more. Always infusing her knowledge, and humor into her content! See how WriterAccess writers can craft content for your business, that converts whether you need a writer for your small business, blog posts, or content that has been optimized for mobile!